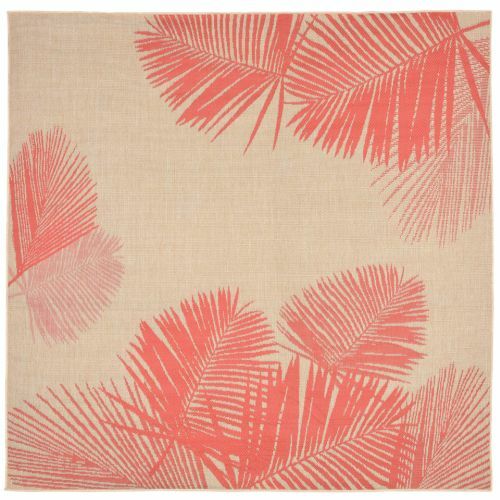 Liora Manne Terrace Palm Indoor/Outdoor Rug - Natural, 7'10" By 7'10"
This casual and simple pattern combined with beautifully blended yarns in bold colors make this rug rise above the rest. These yarns are tightly constructed creating an impressive flat weave and natural looking rug. Wilton Woven in Turkey of 100% Polypropylene. This rug may be used anywhere, is easy to clean and maintain. Limiting exposure to rain, moisture and direct sun will prolong rug life.